Home › Crew Supply Vessel › Fast Crew Supplier › Fast Crew Supplier 5009 Security › Fast Crew Supplier 5009 Security "SVS Cochrane"
In April 2012, a Damen Fast Crew Supplier 5009, ‘SVS Cochrane’, was delivered to Specialised Vessel Services in Kenya to undertake maritime safety duties in East African waters. The FCS 5009 was fitted out with a single point lifting davit for launching the SVS operated Damen Interceptor ‘SVS Melissa’ at sea. 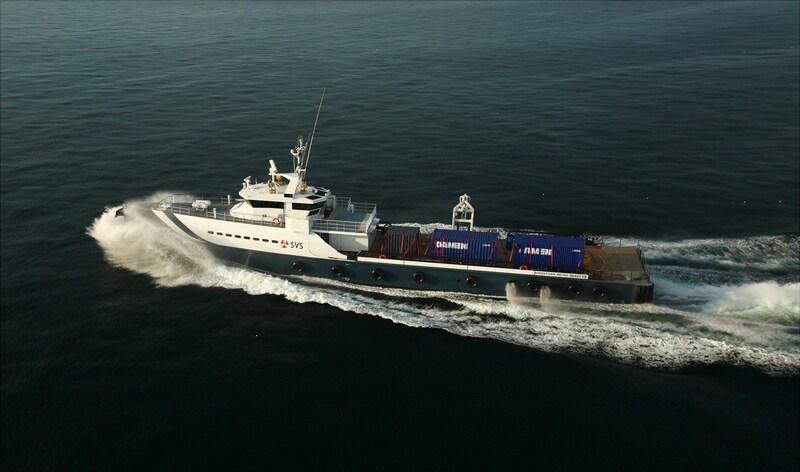 SVS now operates four Damen FCS 3307s and one FCS 5009 in its fleet of security patrol craft.